I was recently asked to help out with some redecorating. 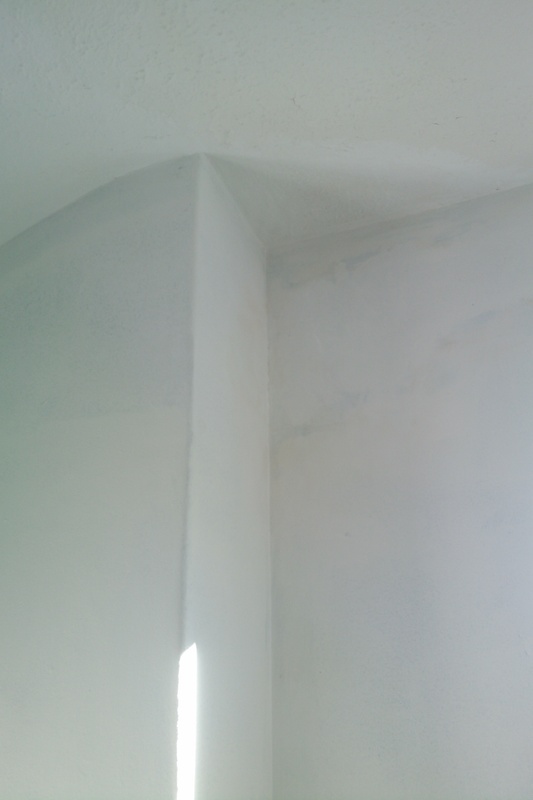 This mainly involved a single bedroom, which needed a hole fixing in the ceiling, a few cracks filling in the walls, and a full repaint. I thought this blog post would be a good place to put a brief description of what we did, along with some before, during and after photos of the room. 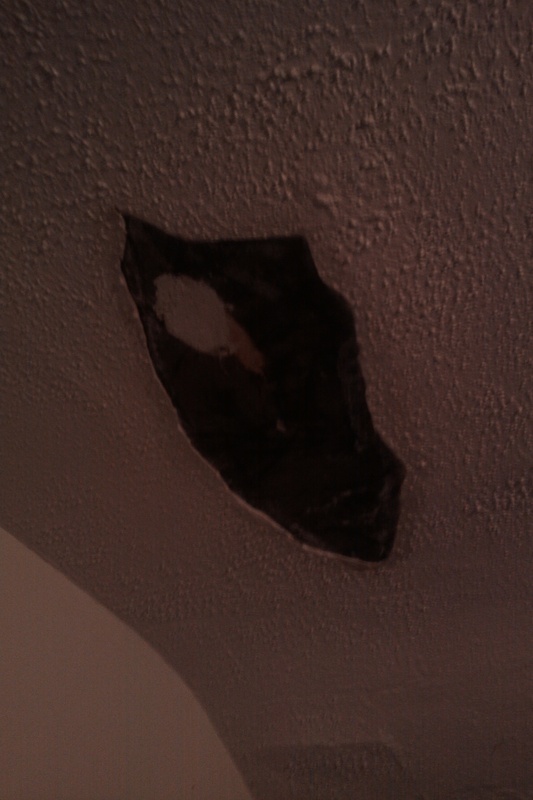 The original Artex ceiling was falling away from the actual ceiling beneath, and had left a large hole. 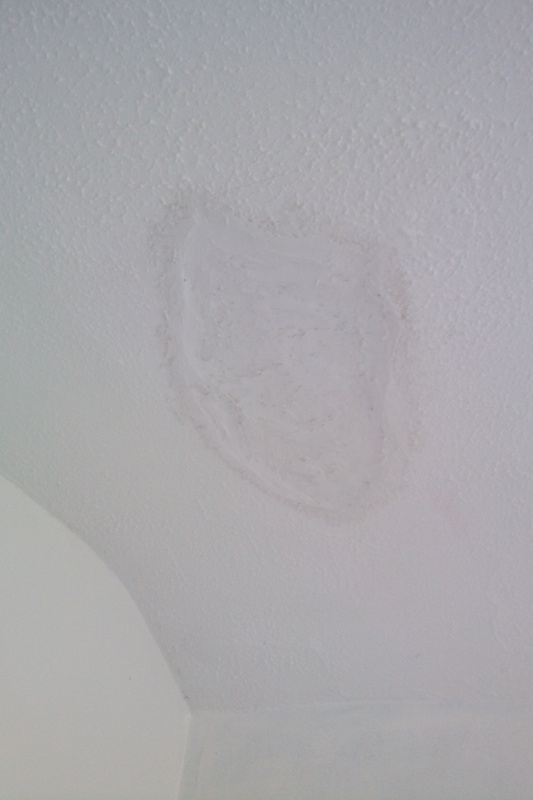 This was fixed by preparing the surface with some watered-down PVA, onto which the new Artex could be applied. 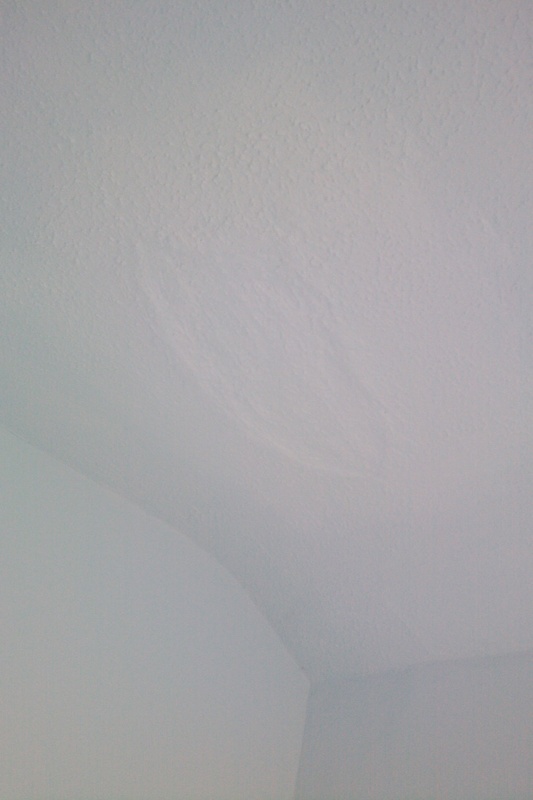 Finally the whole ceiling was painted in “Calm Breeze” so the patched hole would match the rest of the ceiling. 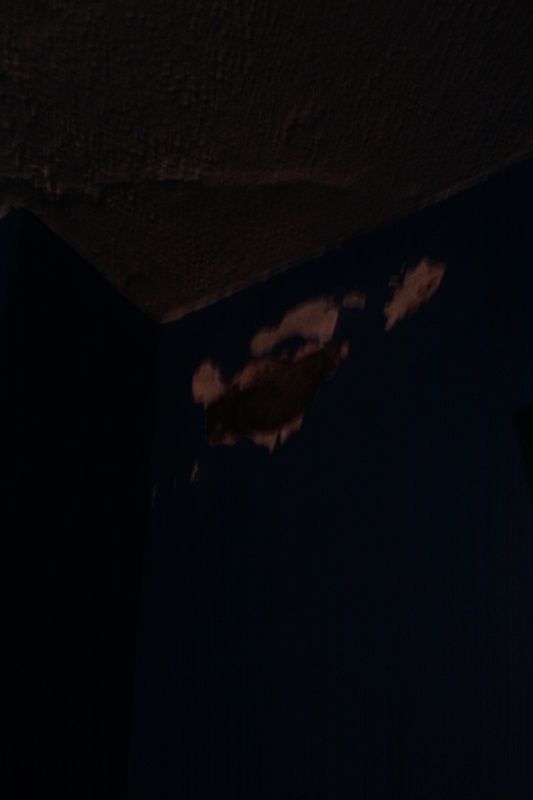 One of the walls had got a little damp, probably due to the placing of furniture in front of the wall. 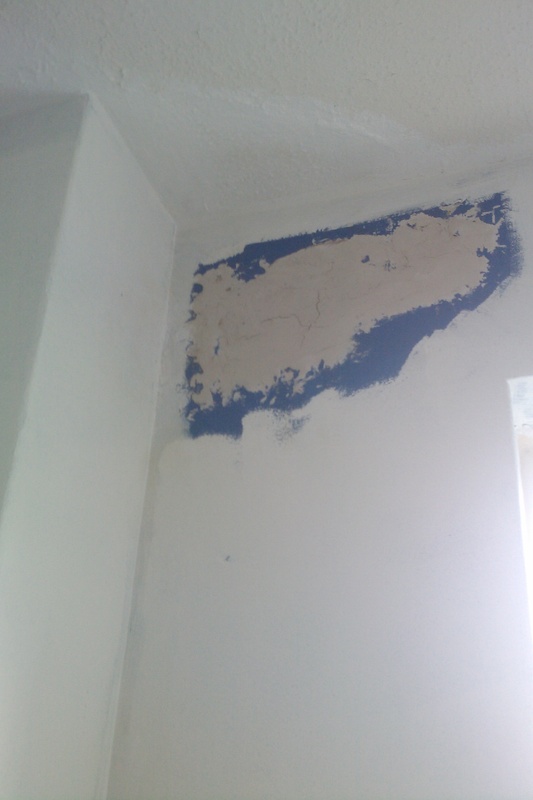 The old plaster had come off in places, so it would require filling to give the wall a smooth surface. Once again, we prepared the surface with watered-down PVA and then filled the hole with Polyfilla. 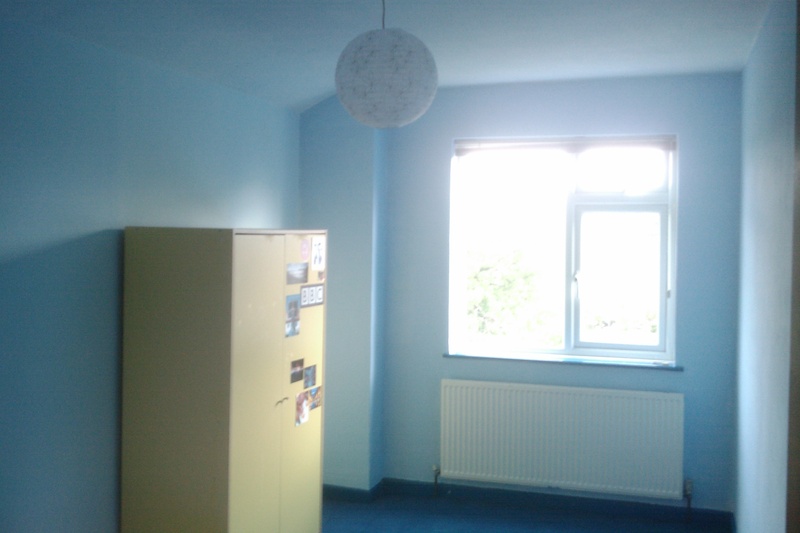 The “before” photo on the left is a little dark, but also shows the original dark blue colour of the room. Finally we finished the wall off by painting it with “Calm Breeze”. I am pleased with the results. 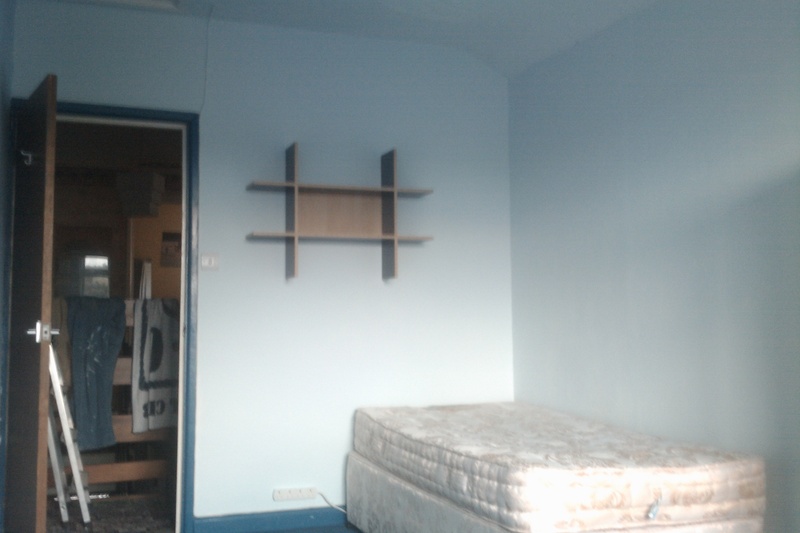 The room is now a lot lighter, and the work only took a few days.